Yes its my second time as host of #MTOS and on Sunday the 25th of May, I am covering the topic of Tv and film. More precisely its when film and television crossover and adapt each other as well your favorites. For those who don’t know, Movie Talk On Sunday will be all about Cinematic Experiences on May 11, 2014 starting at sharp 20:00 UK Time wherein after every 10 minute interval a new question will be thrown out at you, gently, to discuss, also gently. 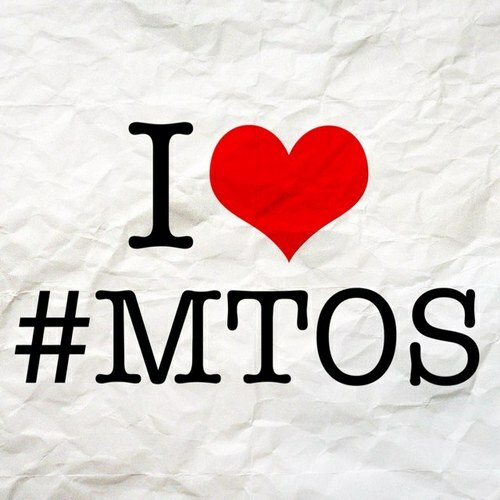 Please do use the hashtag #MTOS when replying to the tweets with relation to the chat. Since many people follow the hashtag, trust me, it is a great way to meet and interact with fellow cinephiles on twitter. Also, do mention the question number you are referring to so everyone knows what you are talking about. 1 I know this MTOS but be honest, what do you prefer more, Films or TV shows? 2 With the current success of Fargo on the television screen, Is the idea of a TV adaption of a classic film sacrilege to your ears or are they a good idea? 3 With Game of Thrones aiming for a big screen finale, does TV have a place in the cinema? 4 Many of our favourite childhood TV shows have been adapted into films, what has been the best one in your opinion? 5 24 is back after failed attempts for a film, do you think it will ever happen and will the change of formate work? 6 So tell me what’s worst cinematic take on a TV show? 9 Does television have more of an impact on popular culture more than films today? 10 Finally what film or franchise would you make a TV show out of? Remember to follow me on Twitter @CinemaTronix and see you on Sunday 25th May. Baz is a huge film fan and we sat down and had a chat about his top five favorite films as well as some that didn’t make the grade, such as…. Email us at ibastnerds@gmail.com for any comments or feedback. Raghav @raghavmodi is back to show Chris @CinemaTronix the joys og Indian cinema. This time round its the English spoken Indian film Being Cyrus. A film that is quite surprising in most ways. While Raghav is here, we take the time to talk about the sad passing of Bob Hoskins and also discuss the three films we saw together in Birmingham, The Amazing Spider-Man 2, The Raid 2 and the latest Tom Hardy in a car film Locke. Please follow us on twitter, we are both friendly and chatty and why not subscribe to the podcast on iTunes and leave a lovely review. Email us ibastnerds@gmail.com and stay tuned for more rambling chat and Top 5 podcasts. The Action Junkies are back and in this episode Jade Lindley and myself take on the two cinematic adaptations of the 2000 AD character Judge Dredd. Starting with the 1995 Sylvester Stallone starring Judge Dredd followed by the 2012 Karl Urban starring Dredd. Be sure to check out our next episode where we find out what’s better…. Street Fighter or Mortal Kombat? Any feedback sent to theactionjunkies@gmail.com would be greatly appreciated…. Thank you.